Allison Shelley/Getty ImagesFacebook chief operating officer Sheryl Sandberg. Facebook chief operating officer Sheryl Sandberg reportedly requested opposition research on billionaire George Soros. Sandberg reportedly wanted to know if Soros, who publicly criticised Facebook, was shorting the company’s stock. That news comes after it was revealed that Facebook had a relationship with the opposition-research firm, Definers Public Affairs. Definers has had ties to Republican campaigns and it previously released a report that suggested Soros, a popular target for anti-Semitic and right-wing groups, was secretly funding anti-Facebook organisations. 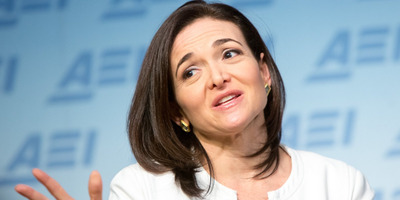 Sandberg has suggested she was unaware of Facebook’s relationship with the firm. Sheryl Sandberg, Facebook’s chief operating officer, reportedly requested research on billionaire George Soros, and wanted to see if the investor was shorting Facebook’s stock, the company said to multiple news organisations on Thursday. That news comes after it was revealed that Facebook had a relationship with the opposition-research firm, Definers Public Affairs. Definers has had ties to Republican campaigns and it previously released a report that suggested Soros, a popular target for anti-Semitic and right-wing groups, was secretly funding anti-Facebook organisations. Sandberg, who has been at the crux of recent controversies involving the company, previously suggested she was unaware of Facebook’s relationship with Definers. “I did not know we hired them or about the work they were doing, but I should have,” she said wrote earlier in November. Following news of the firm’s relationship with Facebook, the tech giant immediately cut ties with the company. Following the public backlash, Facebook’s outgoing boss of policy and communications, Elliot Schrage, took the blame.